Chennai is a metro city which has numerous numbers of day care centres and pre-schools. Recently, there has been tremendous increase in the number of pre-schools in Chennai just before a decade due to increase in working culture among parents in the city. Those people feel that children must be engaged through play school instead of sitting idle at house. Thus, to help the parents in Chennai, here are list of pre-schools which may engage children from the age of 1 year. Alcaris Pre-school by XS real school is most popular pre-school in Adyar, Chennai. It provides admissions to the classes’ right from pre-nursery to Upper kinder garden. In-take age is right from 1.5 years up to 5.5 years. This school offers day care facilities for the children between the ages of 1.5 years to 10 years. 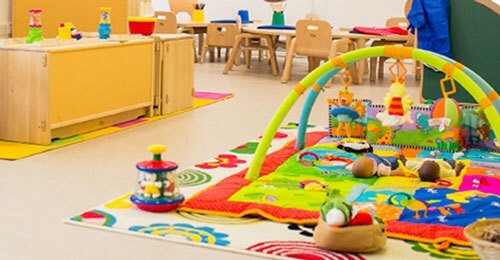 Activity rooms, sick bay, non-toxic toys for kids, well ventilated class rooms are the facilities provided by Alcaris school. This pre-school is also located at Adyar, Chennai. Learning Tree pre-school which was established in the year 2002 in Adyar has gained good response and popularity among Chennai people and thus it has derived another branch at Kottivakam. Most of the people of South Chennai, think Learning Tree is the best place for their children since this school also has senior levels of classes from 1 to 5 (Located at Neelankarai). Adapts to the curriculum of Montessori it has been awarded as one of the best school for its curriculum. As everyone knows Kangaroo kids is a well known network of schools which is located in most of the major cities of India. Kangaroo kids which is present at Velachery Kalki nagar provides learner centric and research based curriculum that helps the students to nurture unique talents and abilities right from young age. This pre-school group has also derived an International school named Billabong International School which has been ranked as best international school according to a C-Fore survey. This centre which is located at sholinganallur has excellent teaching staffs who are trained specially for helping young children to learn perfectly. It has a day care centre, infant care, pre-school and after school programs. The teachers of this school are specially trained on life saving emergency medical aid from the reputed hospitals which is an awesome facility from this school. A very famous chain of Pre-schools located at several branches such as Adyar, Kottivakam, Anna nagar. In take age is just from 1.5 years. It has several facilities such as ac class rooms, play area, day care centre, splash and ball pool, pet zoo and after school programs. This is one of the international pre-school in Chennai which adapts to the curriculum of international standards. Children are trained through computer based learning and visual teachings which help them to understand better and easier. It is an ISO 9001:2008 certified school which has ac class rooms, learning and activity rooms, transportation, etc., It has more than 300 centres across India and children from one branch can be transferred to other branch without any additional charge. Based on Montessori Method of teaching, Vruksha pre-school which is located at alwarpet, Chennai tops among the best pre-schools in Chennai. It offers programs such as toddler, pre-school, primary levels of classes (5 &6). This school conducts many extra-curricular activity clubs, parents workshop and international programs. This school has been rated as a Best pre-KG and day care center in Chennai by the Education world. It is being operated since 2003 with its vast campus area around 15,000 Square feet. The teaching methodologies are based on stress free and play way methods which make children easy to learn. The school also has an evening activity clubs and day care centre. Children are encouraged in creative activities such as puppet shows, dancing, singing and other interesting activities.It is located at Raja Annamalaipuram of Chennai. This pre-school which is located at Neelankarai offers very high quality education according to the New Zealand curriculum. The whole syllabus is based on New Zealand way of education and even staffs and teachers are appointed as per New Zealand standards. This is New Zealand’s first school to start Early learning centre in India. This school is something different from others in the digital way of teaching. This is the school which is latest and modern in having digital classrooms with smart boards, WiFi-campus and air conditioned class rooms. This school pays special interest in health and hygiene of the children. Indus Early learning centres and Indus junior schools are the best pre-school groups for any children before they enter into the main schools such as Indus International School. It is located at Besant avenue of Chennai. Thanks for sharing this excellent info about the top 10 best play schools in Chennai area. This blog will definitely help the parents who are looking for the best Creech for their toddlers.